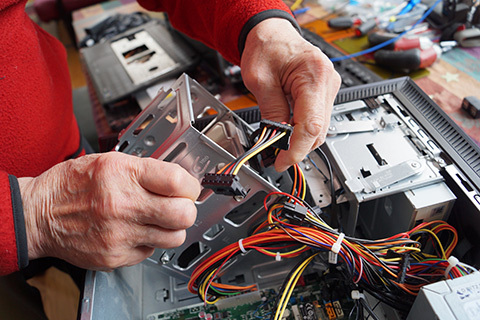 SERVICES - Emergency Services: PC hardware upgrades and repair and software help when you need it. PC Hardware - Repair and upgrades. MS Windows - Microsoft Windows Installation and upgrades. E-mail Help - E-mail configuration and setup. Macintosh - Apple Macintosh hardware and Mac OS Installation and software repair. Android Phones - Android smart phone setup and effective usage. PC SECURITY - Viruses and Malware. Virus Removal - Virus and malware removal. Virus Prevention - Virus prevention maintenance. BENEFITS - Benefits and Advantages of using Bytewise / PC 911. Case Study 1 - Windows versions and programs not compatible. Case Study 2 - Slow computer. ABOUT FRANK - Experience and avocation. Rates - Value compared to corporate PC repair services. CONTACT - Frank Brandon at Bytewise / PC 911. E-List Signup - Subscribe to Frank's occasional messages. Sitemap - This website table of contents.